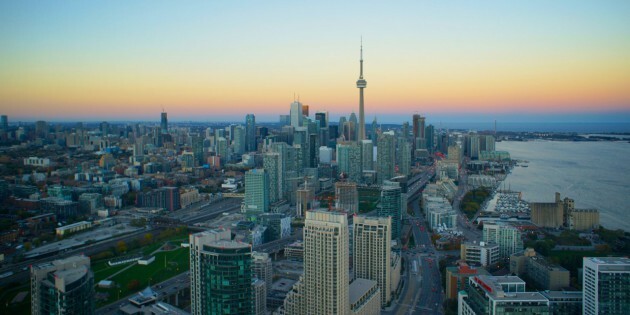 "The late start to Toronto’s spring real estate market appears to have pushed the selling season further toward the summer. Competition among buyers does not seem as fierce as it was earlier in the year. New listings are still arriving on the market after cool weather all the way through April deterred a lot of homeowners from listing earlier. Meanwhile, Aura’s largest penthouse was completed about a week ago. Canderel Residential Inc., which built the 80-storey tower at the corner of Yonge and Gerrard streets, has divided the top residential floor into four suites. Unit 7910 is on the market with an asking price of $3.75-million, says Canderel Residential’s vice-president of sales and marketing, Rizwan Dhanji. The two-bedroom-plus-den unit offers 3,055 square feet of living space in the south-west corner of the building. In addition to being the largest, it also offers the building’s prime view, says Mr. Dhanji, gazing out at the CN Tower to the south and Lake Ontario in the distance. Originally, Canderel offered one 11,370-square-foot penthouse that covered the entire floor. When the $18.5-million unit failed to attract a buyer, the developer rejigged the floor plan, Mr. Dhanji says."